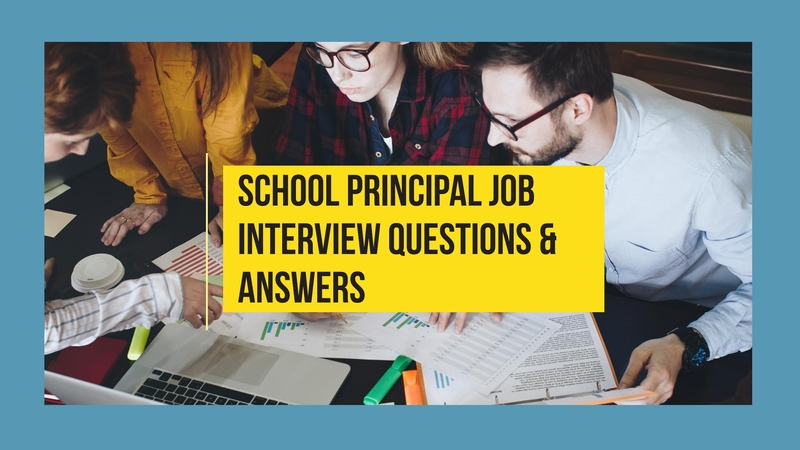 These school principal job interview questions and answers help both the school’s recruitment management and the aspiring principals to procure dedicated teachers, lecturers and administrators; as well as aid the latter to ace the interview seamlessly. Sustaining the aims and objectives of school requires quality and well-educated principals and vice-principals. There are a few mandatory questions to ask a principal during an interview that help the selection boards to evaluate the leadership, decision-making, critical thinking and communication skills alongside assessing the aspirant’s relational and student management abilities, enthusiasm, subject knowledge, experience, and other attributes. We referred many online and offline sources, published in the recent 2017 and 2018 years, to make this article. These Interview Questions and Answers allow the school boards to dig into what to ask aspirants during an interview whilst giving principals-to-be a foresight on how to answer the questions. Why are you interested in becoming the principal of this school? Model Answer: I’ve done thorough research on schools within this part of the city and I am very impressed with what your school has to offer. Your school as best qualified teachers and your students have been consistently winning awards and honors both in academics and sports. I gather that the teaching staff here is one of the best in the area and is very involved. How do you think the technology can help the school? Model Answer: Educational System Technology like EduSys ERP Software can give teachers and students great resources, new opportunities for learning, ways to collaborate and create, and save money. Technology is a very powerful tool for education. As the Principal, how would you create a culture of academic excellence in a school? Model Answer: I love nature and would like to introduce an activity to explore nature beyond the borders of the school and home. In my current school, I started an after-school explorer’s club. We would go on nature hikes, visit science parks and invite local scientists and biologists to come to speak to us about what they’re working on and their domain. Model Answer: I can be too critical of myself.A pattern I’ve noticed throughout my career is that I often feel I could have done more, even if objectively, I’ve done well. Earlier in my career, this led to burnout and negative self-talk. One solution I’ve implemented over the last three years is to actively pause and celebrate my achievements. Not only has this helped my own self-esteem, but it’s also helped me genuinely appreciate and recognize my team and other support systems. How do you involve students in the decision-making process? Model Answer: As a high school principal, I would include the students in the decision-making process by holding school elections, working with the student council, allowing students to vote on various issues. Other methods of involving students would be promoting a student-written school newspaper that addresses school decisions, and by encouraging students to attend PTA meetings and school governing board meetings. Here are a few Additional Questions to ask during Interview. How would you describe an excellent teacher? According to you, what would be the ideal school environment, and how would you foster that kind of culture? Tell us a few things, about yourself, which makes you an effective principal? As head of administration of the school, what do you see as your primary duty? Upon what basis do you believe school priorities should be established? What would be your first priority in this position? What is the importance of the lesson and unit plan? How would you describe a successful principal? What do you see as the major role of the principal? What are the best Learning Activities Ideas For Teacher? What do you consider to be your major strengths as an administrator? In what ways can you ensure regularity of students and teachers with effective attendance management strategies? What do you see as the first step in initiating a successful change in the school? How would you encourage a teacher? A student? A parent? How will you motivate teachers so they will want to try new ideas? What role do you see for the principal in decision-making? What is ERP and how can it help the school? What is your stance on School Software? How can you implement GPS Tracking to ensure security for students? 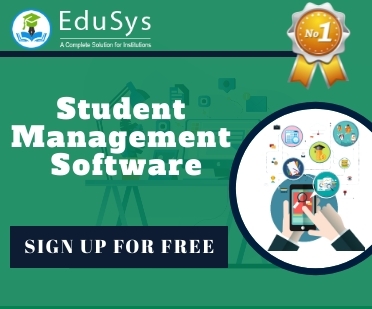 Why is it important to use Student Management System? What are the best classroom management software? How can you bring teachers and parents on-board with online grade book?